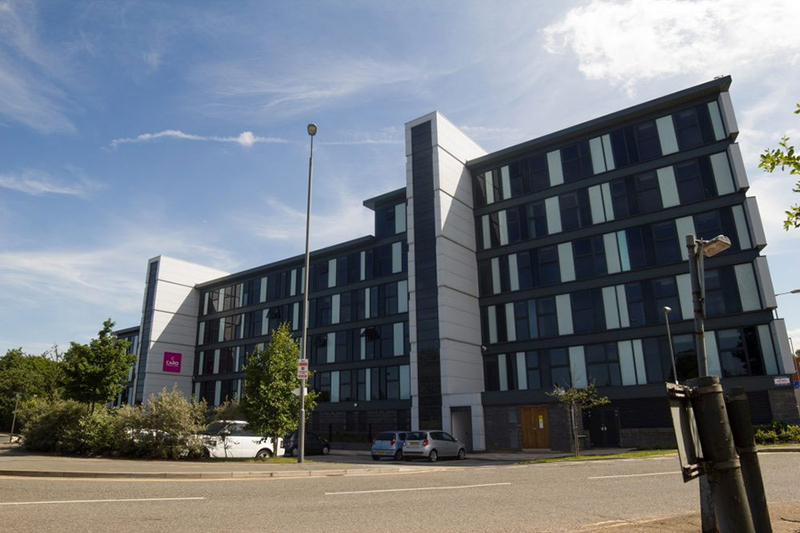 Hopwood House are delighted to present the City Point development in Liverpool, of which opened in 2014 and has been a fantastic home to many students ever since. City Point is fantastically located for students, close to the £150 million redevelopment of Great Homer Street, of which is set to house a new transport interchange, Liverpool’s largest food store and 80,000 square foot of shops. Liverpool has a very young population, with students and young professionals making their mark in such a fantastic city. Universities within Liverpool, however, only provide 16% of student beds, which presents a great opportunity for student property investors. As well as the demand heavily outweighing the current supply of property, rent is expected to increase by almost 18% over the next five years, meaning that Liverpool truly is the place to be as a student property investor. The City Point development has 159 separate en-suite units, collected into up to nine units spread over five floors. The fantastic units consist of sleeping and living areas, including three quarter beds, storage space and wardrobe, as well as a workstation and internet access. The collections of units will have their own communal areas and kitchen facilities, whilst the student residents will also have access to a laundry room, a gym and bicycle storage. This stunning investment opportunity presents a fantastic place for students to live, located just 10 minutes away from the John Moores University Campus, whilst also being nearby to the University of Liverpool and some of Liverpool’s biggest train stations. Liverpool as a city is also very appealing, attracting students from throughout the UK and also overseas. It is easily accessible by motorway, and also has a major ferry route from Ireland and its own international airport. Available from only £59,995, City Point is a completed and operational student development that offers 8% net assured rental for two years, as well as 98% occupancy. The purchase process for this development would start with a reservation fee of £5000, with 50% of the purchase price on exchange of the contracts and the remainder of the purchase price due on completion of the project. As Liverpool is so successful at attracting students each and every year, as well as a lack of supply of this property type and a current occupancy rate of 98%, this development truly does offer investors with the ability to succeed in a blossoming market. City Point is already an established and operational student development, providing students in Liverpool with a quality place to live, in an ideal location. The development is sure to continue to excel, and coupled with the 8% net assured rental for 2 years, City Point is an opportunity that all investors should be considering for their next venture. For more information on the City Point student property investment, please contact Hopwood House.